It’s been a while since I’ve had a Friday Favorites post for you fine readers! You probably already detected the reality– I took the summer off from my regularly scheduled posts: What We’re Reading Wednesdays and Friday Favorites. Well, school is back in session at the Mosley Casa, so I am hoping to get back to my regularly scheduled bi-monthly posts. Today’s Friday Favorites is one that I’ve wanted to share for a while! 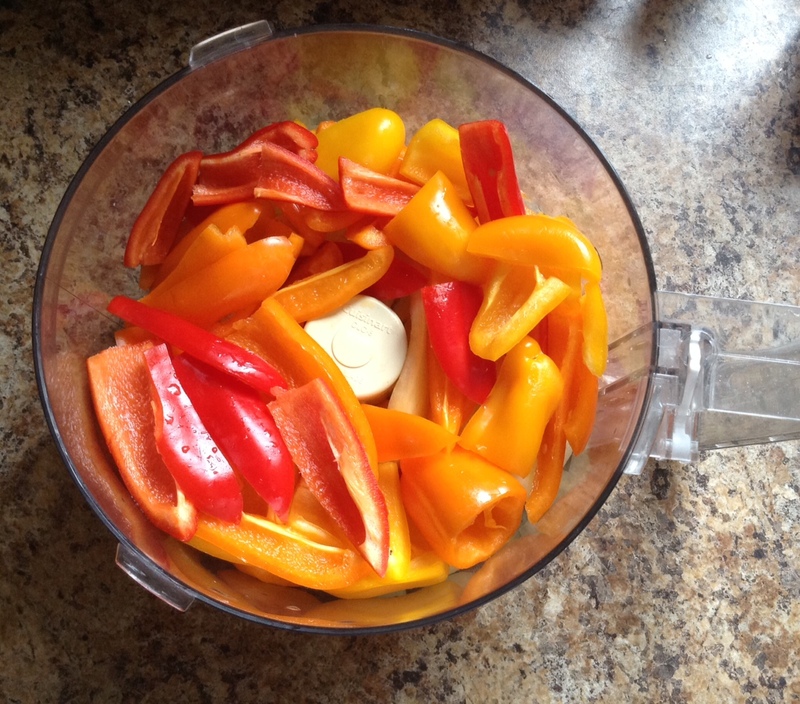 I made a double batch of this Veggie Mix this week, so I knew it was time! Here’s today’s Friday Favorites…. This summer marks the 3rd year that we’ve participated in a CSA in our community. What is a CSA, you ask? Read more here for a long exhaustive description. My simple explanation is that we buy a “share” of a local farmer’s produce crop, and our share of the crop is delivered weekly to a local produce store. We pick our weekly stash of fruits and veggies up on Tuesdays, and it’s almost like Christmas! Each week is a surprise! We have know idea what we will be picking up each week, so it’s always exciting. 🙂 After doing this two summers prior with the same farmer, I can anticipate what items we will receive. My hypothesis of each week’s “loot” may not be accurate, but I have learned that each CSA year we will, at some point, enjoy fresh strawberries and blueberries, cabbage, tomatoes, patty pan and spaghetti squashes, and a variety of other things. It has been an adventure in the kitchen for me each summer as I have received a variety of produce that was unknown to me! Embarassingly, I had to ask the farmer’s delivery man on more than one occasion the name of several vegetables. AND, I may or may not have googled a video on How to Cut Up a Bok Choy. But, I digress! Each summer, though, my excitement builds around August as I know that we’ll be showered with a ton of onions, peppers tomatoes, and eggplants. When those vegetables start appearing, it is time for me to make my Veggie Mix! I originally found this recipe in Southern Living. Its appeal was the title of the article, “Five Fast Dinners Begin with One Vegetable Mix.” Hmmm…fascinating! So, I ripped out the recipe and tried it. To summarize how this recipe works, you make a base “Veggie Mix,” and you end the day with 4 frozen packages for later use (or, you can use immediately!). The original recipe came with FIVE uniquely different recipes that can be made using one package of the “Veggie Mix” base and a few more ingredients. When I read this information, I was sold. I have been making this “Veggie Mix” for at least 5 years. Clearly, it’s a “keeper.” I love that each summer I make 8-12 frozen packages of the “Veggie Mix,” and we, literally, eat on it all winter! Today, l share my version of the “Veggie Mix” recipe, and you can visit Southern Living’s website for the original version that contains the 5 different recipes–Individual Pizzas, Greek-Style Chicken Stew, Shrimp with Rice, Beef and Vegetable Supper (aka “Spaghetti” in our house), and Black Bean Soup–to make using your “Veggie Mix” base. We have tried all of the recipes except the Individual Pizzas. When I make either of the other 4 recipes, I love that the final meal tastes entirely different than the other, unused recipes. 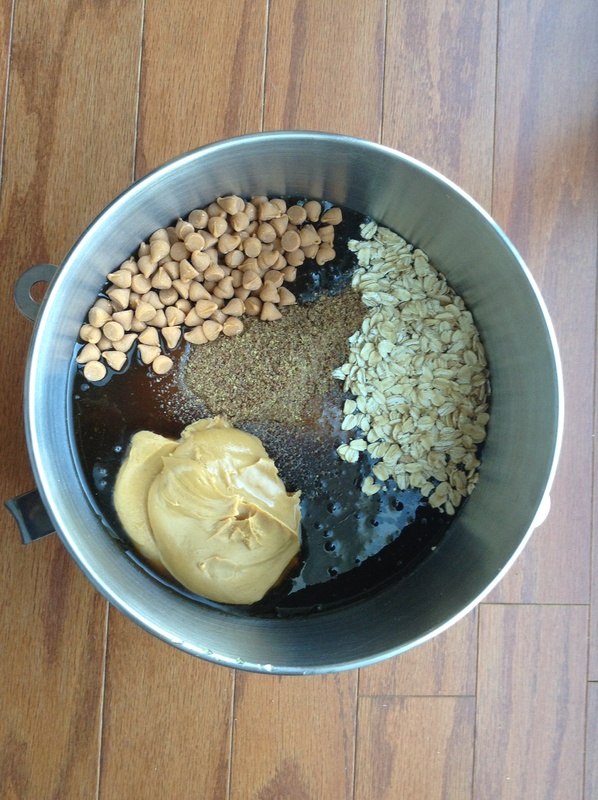 So, you can make this mixture on Sunday afternoon and enjoy 4 different meals that week. I promise that while eating the Black Bean Soup you won’t think, “Hmmm…this tastes just like the Greek-Style Chicken Stew expect it has black beans instead of chicken.” The recipes and tastes are unique. Without further ado, here’s the recipe! This week’s bounty. 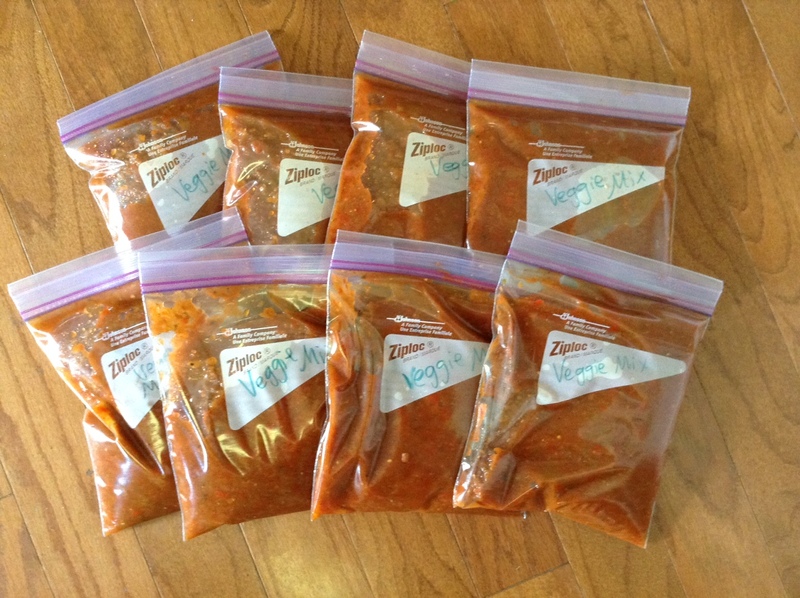 I doubled the recipe for 8 frozen packages to enjoy this winter! 1) Saute onions, peppers, and eggplant in oil 5-10 minutes, until cooked. 2) Add in tomatoes and Greek seasoning. 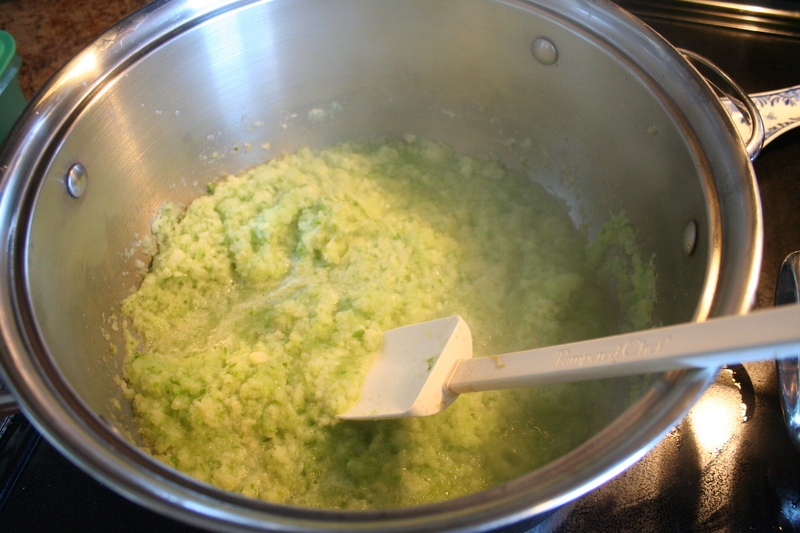 3) I bring to boil and then, turn down to lowest setting and simmer 15-20 minutes. This makes my house smell heavenly, so sometimes, I let it simmer a while! 4) Spoon 3 cups of Veggie Mix into freezer bag. Does this to create a total of 4 bags. When you are ready to make one of the 5 recipes (Individual Pizzas, Black Bean Soup, Greek-Style Chicken Stew, Shrimp and Rice or Spaghetti) consult the original recipe for those directions. I usually pull out a ziploc bag of the “Veggie Mix” the day before I need it. I let it thaw on a plate (to avoid spills/leaks) in my fridge. I feel so “Sneaky Chef-ish.” 🙂 🙂 Please don’t tell my boys this little secret. Let’s just keep it between us, okay? I’m excited to share this Friday Favorite with you! 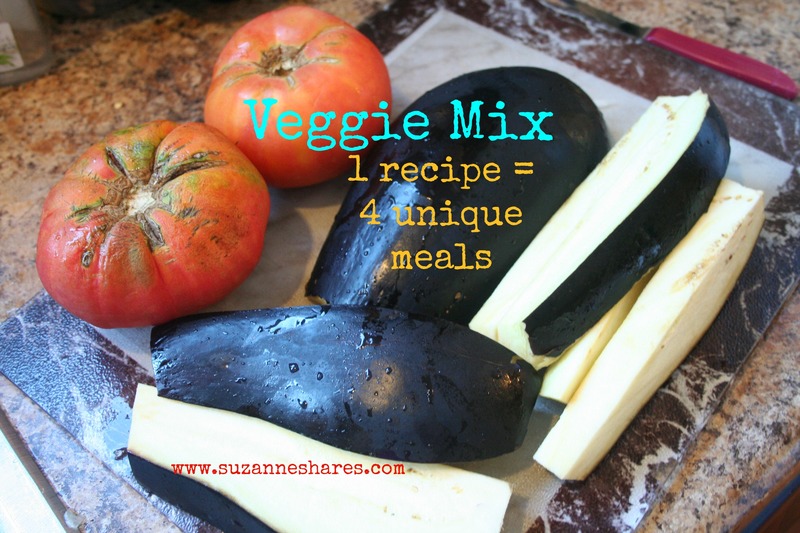 If you make this “Veggie Mix,” stop back by and comment below to let me know how you like it! Sorry for the long delay in a Friday Favorites post! I have been soaking up time with my family this summer, so blogging hasn’t been as frequent. With our school year starting back next week, I am hoping to get back into a rhythm of posting Friday Favorites and What We’re Reading Wednesdays. 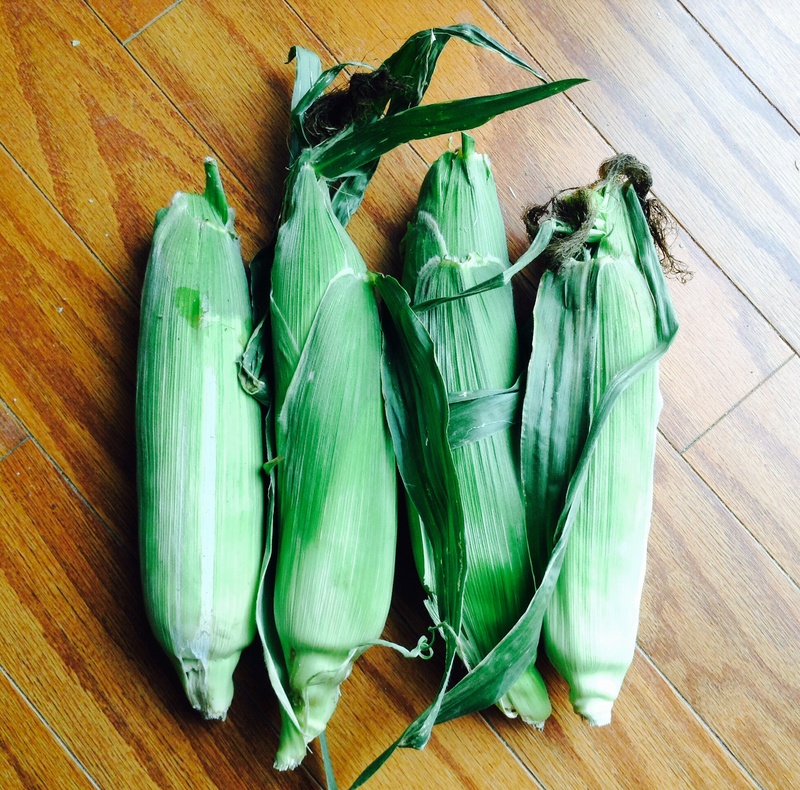 Today’s Friday Favorites post is my new favorite way to cook fresh corn. My friend, Ashley, introduced this corn-on-the-cob cooking method to me last summer, and our family has jumped ship from the traditional means of cooking corn. Grant it, this is not the fastest way to cook corn on the cob, but the proof is in the pudding, or rather, in the bites of yummy, plump, juicy corn kernels. 2) Place desired number of ears of corn directly on oven rack. 3) Bake for 30 minutes. 4) At the conclusion of 30 minutes, turn oven off and leave corn in the oven 5 additional minutes. This allows the corn to steam cook. I have three sons. Their current ages are 8, 6, and 4. My sons eat massive quantities of food. I spend hours each day preparing food for them (of course! ), but I spend equal amounts of my day brainstorming ways that I can earn a 6-figure income in the next year or two. Why, you ask? It’s not because I’m desirous of a larger home or a sweeter swagger wagon mini van. No, my reasons for seeking a 6-figure income is because our sons are eating us out of house and home! It’s time to increase the grocery budget! ha! 🙂 I can’t fathom how much food they’ll consume (or how much the food will cost!) when they are all teenagers. Wow. Mind blowing. 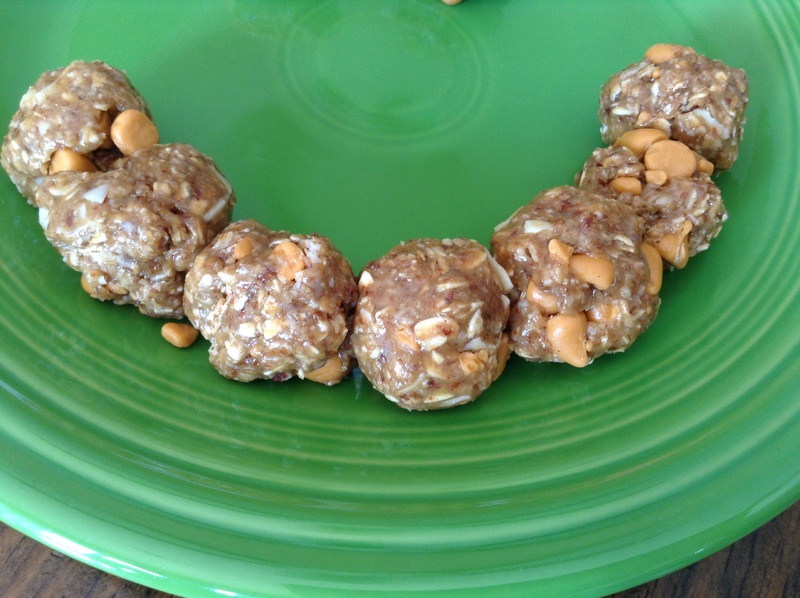 Another plus–these are very easy to make! I must warn you, though. These are very addictive!!! I have no self-control when I eat these bad boys. I promise myself that I’ll only eat one….and half the mixture later, I realize I’ve broken my self-promise. hahahaha! 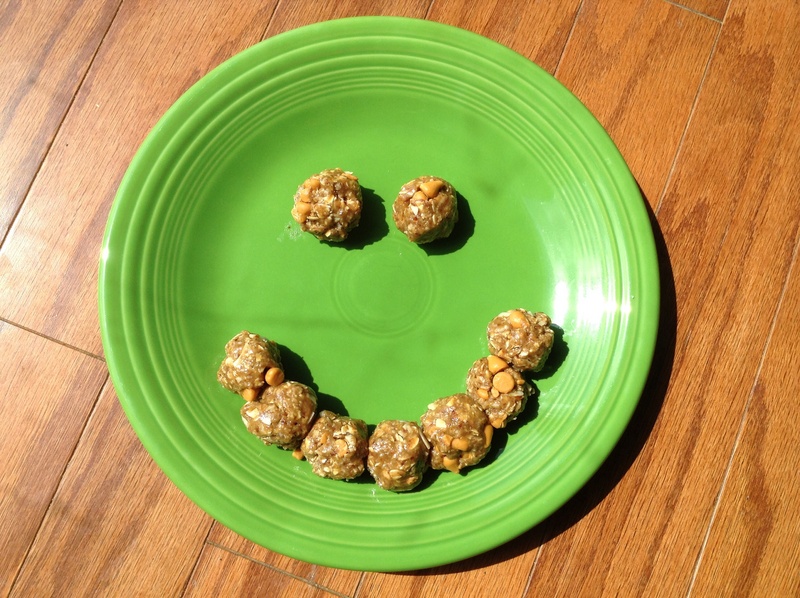 AND…a special shout out to my dear friend Melanie who gave me this recipe. Best recipe ever! This recipe is so delightful the energy bites magically arranged themselves on my plate in this design. Isn’t that amazing? 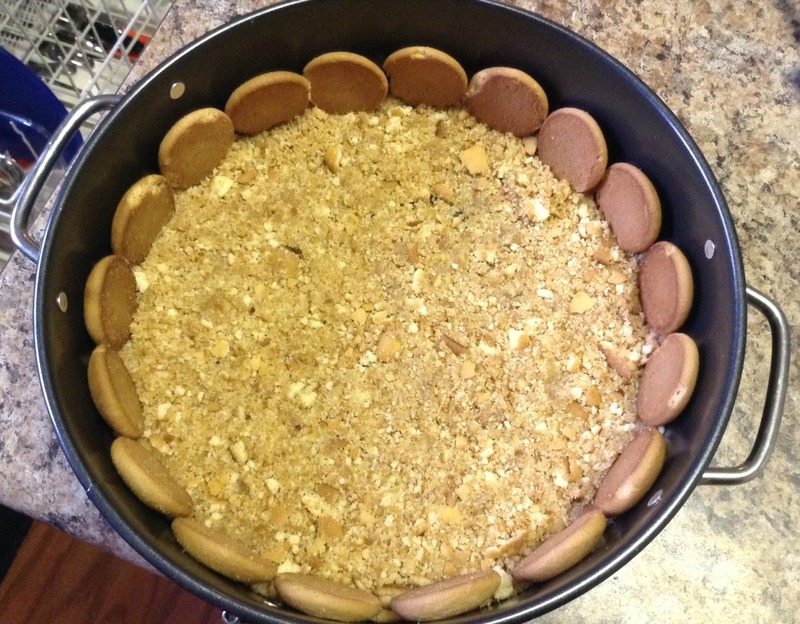 other optional “add ins”–sliced almonds, rice krispy cereal, cheerios, raisins, craisins. It’s very versatile! I’m not even going to lie. This picture makes me so happy. I feel like I was channeling my inner Pioneer Woman when I took this photo. Doesn’t she always have the most magical food photos? I try not to covet her mad Kodak skills. Thanks to Apple and the iPad Mini for helping me reach my goal of channeling my inner Pioneer Woman. I’m sure it will take me at least 2 to 3 more years to take another cool “foodie” photo again. So, until then, I’ll just keep staring at this one. And…I digress. The finished product! I may or may not have eaten all of these as soon as I finished snapping their photo. Oops! As I promised in last week’s Friday Favorites, here’s my other favorite cheesecake recipe. It’s called Southwest Cheesecake, and it is of the salty cheesecake variety. As with most recipes that I try, I am not certain what possessed me to try it! I am not a cheesecake fan, and I had no clue that salty cheesecakes existed. What possessed me to give this recipe a whirl? I’m thinking the biggest contributing factor was my husband’s love for cheesecake! Regardless of the reason for trying the recipe, I am so, so, so, so glad that I did! It’s fabulous! *It feeds an army. This is a great appetizer to take to or to serve at a party, event, or gathering. It’s almost as if the cheesecake multiplies as it is served. The cheesecake goes a long way. It is a crowd pleaser and feeds that crowd handily. *It’s easy to make. 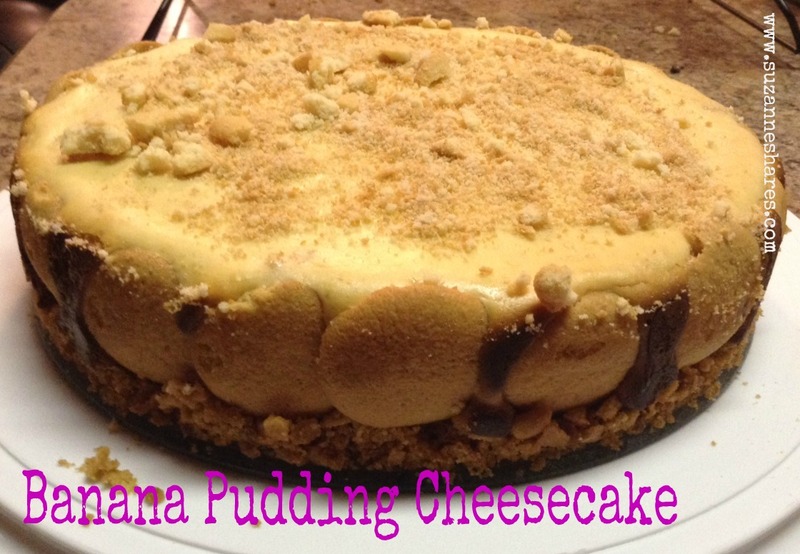 I wrote in last week’s Banana Pudding Cheesecake post that making a cheesecake is actually super simple! 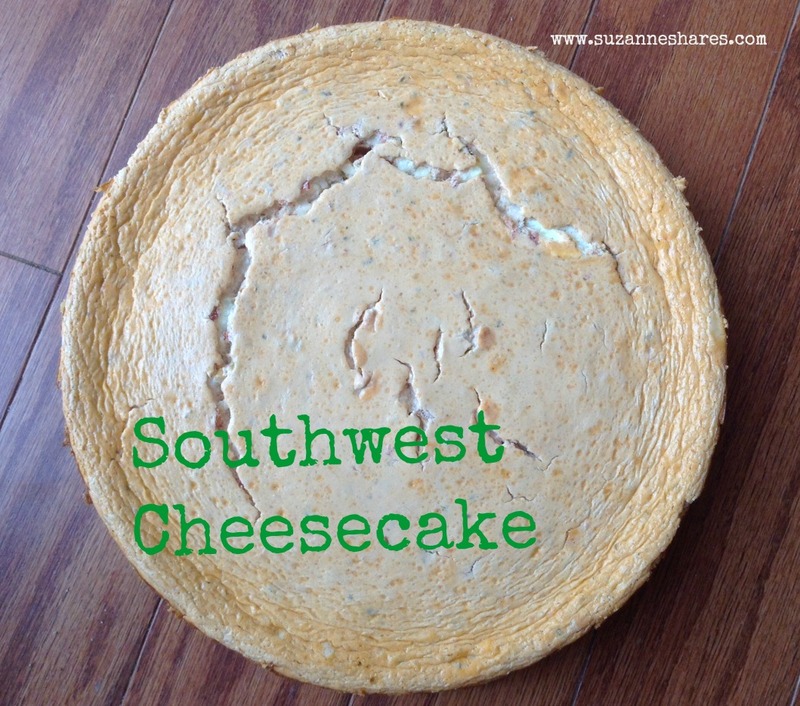 The Southwest Cheesecake falls into that same category: cheesecakes=easy to make. 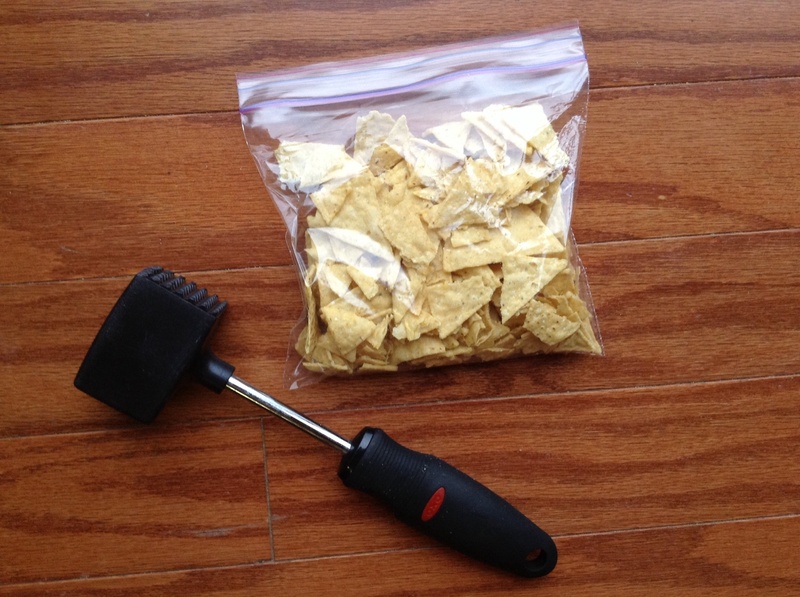 2) Combine melted butter and crushed tortilla chips. Press into bottom of greased, 9 inch springform pan. 3) Bake the crust at 350 degrees for 12 minutes. 4) Remove crust from oven and cool on wire rack. 5) Combine cream cheese and shredded Monterrey jack cheese and beat with mixer until well combined. 6) Add 1 cup of sour cream and mix until combined. 9) Let cheesecake stand for 10 minutes on wire rack. After 10 minutes, run a knife around the edge of the cheesecake to loosen the edge of the cheesecake from the springform pan. Cool completely. 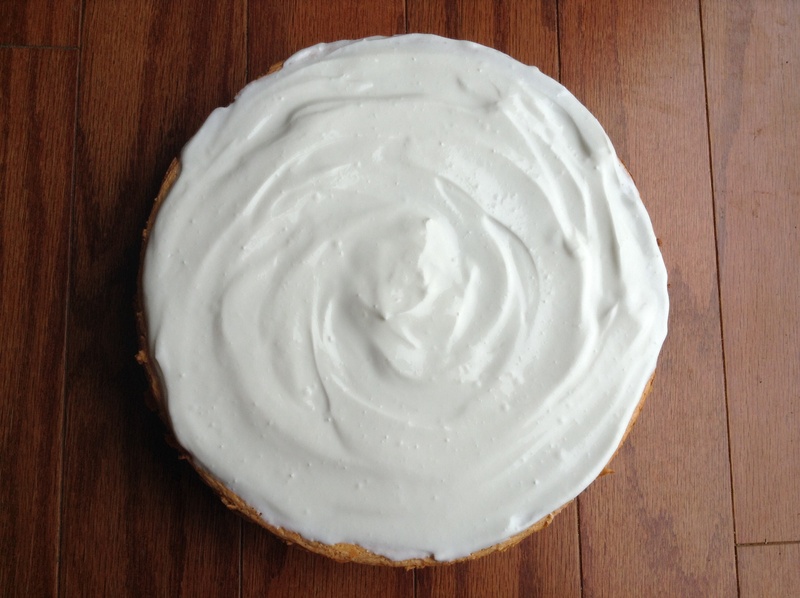 10) Spread remaining 1 cup sour cream onto top of Southwest Cheesecake. Cool, minimally, 3 hours or up to 1 day. 11) Additional toppings of guacamole or salsa can be added onto the sour cream as a garnish before serving. Serve with tortilla chips. Here’s a tip with this salty cheesecake–do not cut the cheesecake into wedges and serve as you would a sweet cheesecake. 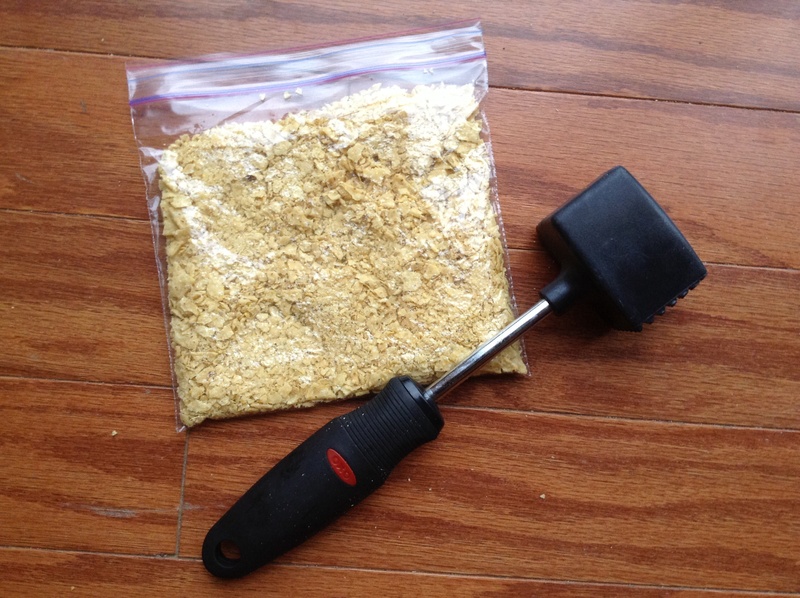 Use a spoon to scoop out desired amount to serve. I made this recipe last week for our Classical Conversations End of Year Celebration. I was hoping to include with this blog post a picture of my finished Southwest Cheesecake with the additional toppings I included before serving. 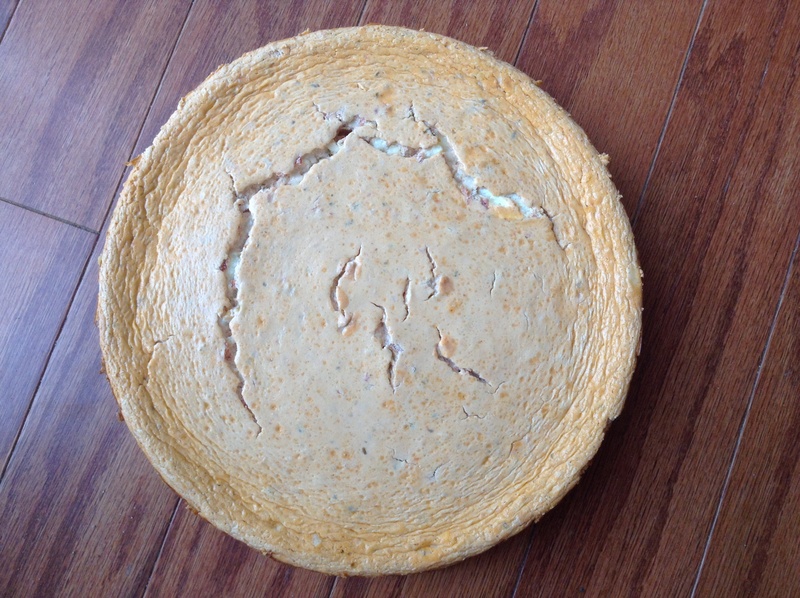 However, sadly, the Southwest Cheesecake fell on the floor of our van en route to our house after our End of Year Celebration. Yes, it made a magnificent mess in our van, and no, I did not get a “finished product” picture for you. 😦 I did manage to capture a picture of the Southwest Cheesecake in the trash bag shortly after the beautiful, amazing, tasteful cheesecake crashed onto our van floor. There it is in the lower right hand corner of the picture. Wishing the picture of the Southwest Cheesecake could be better, but for now, this one will have to do. 🙂 ha! When my husband and I were engaged, like most engaged couples, we created a wedding registry filled with items needed to establish our home. On a trip to a well known retail chain to create our wedding registry, we had the following conversation. “We must register for a springform pan, ” my then fiance’ declares. “A springform WHAT?!?! ?” I inquire. “You know, a springform pan,” he insists. “A springform pan,” I slowly repeated with my mind racing. Dare I confess that I have no idea what it is? Will he love me even if I don’t know what a springform pan is? My palms start sweating, and I try not to hyperventilate. “It’s the pan you need to make a cheesecake,” he informs. “Gotcha!” I nod in affirmation and confidently pretend that I know what he’s referring to. I dared not mention that I had never seen a springform pan fearing that this was a deal breaker for marriage. I, again, confidently pretended to act like the springform pan and I were BFFs. In that moment, I made a mental note listing 3 important points: 1) Future husband loves cheesecake. 2) Find a tutor to teach me how to use said springform pan. 3) Find someone to teach me how to make cheesecake ASAP. Thankfully, my fiance’ didn’t ask for the ring back when he discovered that the springform pan and I weren’t BFFs and had never met previously. Whew! With twelve years of marriage under our belts, I have not forgotten important point #1: my husband loves cheesecake. His love of cheesecake has led me on a quest for the perfect cheesecake recipe. I’ve tried various and sundry cheesecake recipes. Some were heavenly. Some were not. For today’s and next week’s Friday Favorites, I will share our 2 favorite cheesecake recipes. One is sweet and one is salty. (Yes, you read that right! Have you ever heard of a salty cheesecake??!!?!? It’s amazing! Come back next Friday for that recipe!). Without further adieu, let me introduce you to our favorite sweet cheesecake: the Banana Pudding Cheesecake. 3) Bake the crust for 10 minutes at 350 degrees. Let the crust cool completely. 4) While crust is cooling, combine chopped bananas and lemon juice and add to sauce pan. Over medium heat, add in brown sugar and stir constantly until brown sugar has melted. This should only take about a minute. 5) Beat cream cheese with a mixer. Add in sugar followed by eggs, one at a time. Beat in vanilla. Stir in cooked bananas into cream cheese mixture. 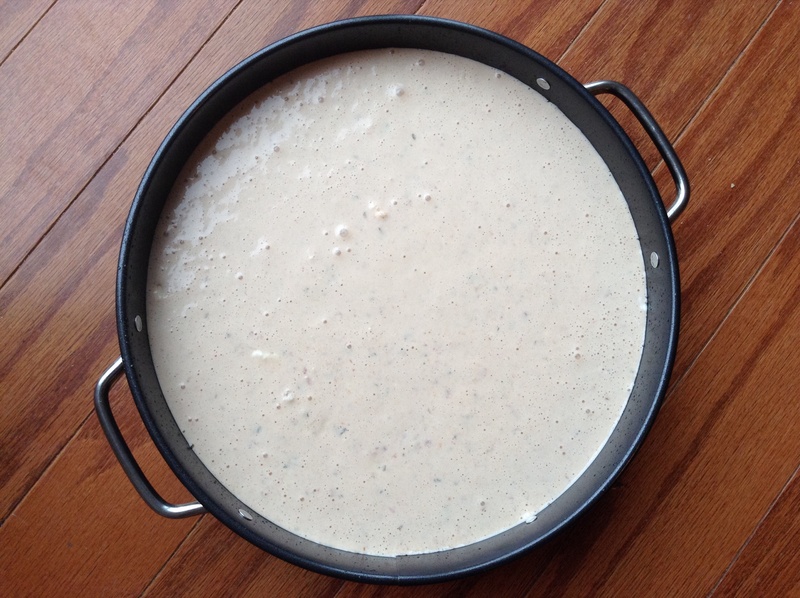 Pour cream cheese mixture into prepared crust. 6) Bake at 350 degrees for 45-55 minutes until the center is almost firm. Remove from oven and run a knife around the edge of the cheesecake to pull it away from pan’s edge. After I loosen the cheesecake from the pan’s edge, I pop open the springform pan. Sprinkle remaining 1/2 crushed vanilla wafers onto top of cheesecake. Cool on wire rack for about an hour. Cover and chill overnight. I’m wrapping up my last post about audio books today in my Friday Favorites series. In the previous 2 posts, I wrote about an apologetic for incorporating audio books into our children’s (and family’s!) lives and a laundry list of my boys’ favorite audio books divided into three age ranges: Preschool, Lower Elementary and Upper Elementary/Middle School. 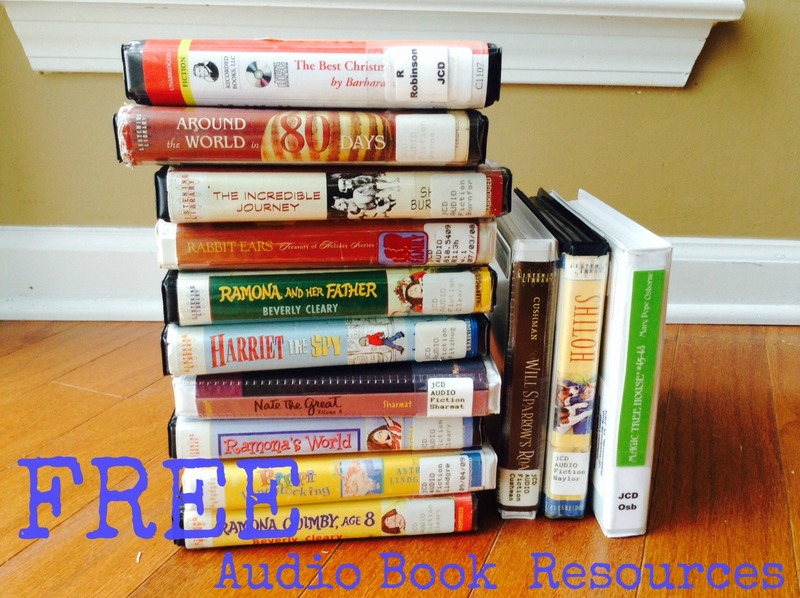 As promised, I am writing today about my favorite places to find FREE audio books. Librivox—This is an online resource that contains audio versions of public domain books. Anytime you see the phrase “public domain,” it is safe to assume that these books are old and the majority of them are in the Classics genre. Copyright stays with a book for a specific length of time, and once the said length of time has transpired the book becomes “public domain.” Public domain books, therefore, can be used as you like. Books Should Be Free—This is another website similar in concept, access and functionality as Librivox. In fact, some of Books Should Be Free audio books are accessed via Librivox. There are a few distinctions to note on Books Should Be Free. This website makes available audio and eBook versions of books. If an eBook version of a book is available (Kindle, Nook, iBooks, .pdf) in addition to an audio book version, it will be indicated on the specific page dedicated to the book. If your kiddo enjoys following along in the Kindle version of the book while he/she listens to the audio book version, Books Should Be Free will be a tremendous resource for you! you can download both audio and eBook versions from the same page! Another distinction with Books Should Be Free boasts itself as “a primarily visual browsing experience.” This evidences itself when perusing through their website. Instead of listing book titles in alphabetical order with pages of text, text, text to sort through, Books Should Be Free includes a photo of each book’s cover. The visual images of the books make navigating through their website simpler. Searching for a specific book becomes less of a wild-goose chase filled with frustration and more of an attainable goal with a happy ending. Books Should Be Free mirrors Librivox in that you have the option to listen to the audio book online via live streaming or to download it to your computer, iTunes (including via Podcasts), or MP3 player. Library–Don’t forget one of the most accessible places for FREE audio books is your local library. Our library’s children’s section has a vast expanse of audio books available for checkout. At any given moment, you’ll likely find 3 or 4 different audio books from our library in our home. All 3 of my boys (currently ages 8, 6, and 4) usually have about an hour of rest time each day in their rooms (and consequently, me, too! Woot!). The boys LOVE this time of day because 99.9 % of the time this one hour of rest includes an audio book! Another plus, thanks to audio books, is that they rarely complain about rest time; they’re eager to listen to the next chapters in their current audio book! Audio Book downloads via your library’s website–With advances in technology, many libraries are expanding their online access for digital and audio versions of books. Through our library’s website, I can download audio books from my library’s collection to iTunes for a specified length of time. Petition for audio books to be purchased–Most libraries add to their collection each year. If your library’s audio book section is less than ideal, communicate your desire to see their audio book collection expanded. Most libraries are eager to hear input from their patrons. Make Interlibrary loan your BFF–Just hearing the words “interlibrary loan” (ILL) makes me think of my college library. ILL is a program allowing a library patron to borrow a book that is unavailable at his/her library from a partnering library. I was continually ILL-ing books during my undergrad and graduate years. I never thought of a local library having ILL; I had only associated it with college libraries. However, when my quest to find a classic, well-loved children’s book at our local library left me striking out, I mentioned this to the librarian, and she suggested using interlibrary loan. I gladly obliged. (As a note of encouragement to the previous bullet regarding suggesting books to your librarian, I noticed several months later that the book I borrowed via ILL had been ordered and added to our library!) Your librarian can assist you with the interlibrary loan process at your local library. So, now that I’ve encouraged you to make audio book listening a part of your life and provided resources where they can be accessed for FREE, what will be your or your kiddos’ first/next audio book?!?!? If you have any suggestions to share with Suzanne Shares leaders, please comment and include them below! Thanks for stopping by for today’s Friday Favorites! This is the 2nd in a series of 3 posts about Audio Books and Children. See the other two posts here and here. I had GREAT feed back from last week’s Friday Favorites post about Audiobooks and Children. Several of you indicated your shared love of audio books while others expressed excitement about incorporating audio books into your family life and/or home school. I was so encouraged that you guys were encouraged! A few of you contacted me and asked for my family’s favorite audio books. I thought that topic would be a great follow up to last week’s post. In next week’s Friday Favorites post, I will share about my favorite places to find FREE audio books because, let’s be honest, these bad boys aren’t cheap! In the list below, I have included some of our favorite audio books, and I have divided them into 3 categories–Preschool & Younger, Lower Elementary School and Upper Elementary School/Middle School Children. I also have included some pointers on tracking down quality audio books for the kiddos in your life. Clearly, this is not an exhaustive list, but hopefully, it will give you some initial direction for integrating audio books into your life and the lives of your children! Brown Bear & Friends (by Bill Martin Jr. and Eric Carle)-When our youngest son was 3, not to be outdone by his older brothers and their audio book-listening-coolness, HE decided that he wanted an audio book for himself. I was excited to find the Brown Bear & Friends (read by Gwyneth Paltrow, I might add) for his listening enjoyment. This set contains Brown Bear, Brown Bear, What Do You See?, Polar Bear, Polar Bear, What Do You Hear? Panda Bear, Panda Bear, What Do You See?, and Baby Bear, Baby Bear, What Do You See?, which are wonderful classic books for preschoolers. We had read these books to him before, and he enjoyed hearing them on his cd player in his room. (Mimicking his older brothers brought him much joy.) He listened to this one cd over and over and over and over. Children’s Bible on cd-I have written previously about Children’s Bibles that we love. The Word and Song Bible on cd was our family’s first introduction to audio books, and it had a dramatic impact on our family (See last week’s Friday Favorites to read how.) If you have a favorite Children’s Bible that your preschooler enjoys, see if it has an accompanying audio cd. Your child can listen to it, hold the Bible and “read” it simultaneously. Two of our favorites, The Big Picture Story Bible (Book with CD) and The Jesus Storybook Bible (with cd) both have accompanying audio cds. Obviously, Children’s Bibles on cd can be used with your grade school children as well. I wanted to highlight it in the Preschool category because that was when we first introduced them and found great benefits from doing so at a young age. Just a side note that a preschooler won’t be able to follow along with the Bible’s text, word for word, and that’s okay! The simple action of sitting down with a book and mimicking what he/she has seen you do with a book–observing pictures, turning pages–is a step forward in reading readiness. Frog and Toad Audio CD (by Arnold Lobel) -If your child hasn’t met Frog and Toad, please introduce them. My boys love, love, love Frog and Toad, so I was delighted to find the audio book at our local library. I loved hearing son #2 cackle like a giggly girl while he was listening to it; I couldn’t resist walking back and forth outside his bedroom to hear those sweet giggles. I quickly tracked down another Arnold Lobel Audio Collection CD with other Lobel classics, Owl at Home and Uncle Elephant, and it solicited the same bellows of laughter. Score for Mom! The Boxcar Children (by Gertrude Chandler Warner) -We were driving around town today running errands and listening to the Boxcar Children-Henry, Benny, Jessie, and Violet-solve their latest mystery. I did not read this series as a child but read it to my sons after the recommendation of a friend. My boys love the mystery element of each book, and they love to try to out sleuth Henry, Benny, Jessie, and Violet by solving the mystery first. This series is marvelously wholesome and pure. I love that my boys can’t get enough of The Boxcar Children! The Chronicles of Narnia (by C.S. Lewis) -Our oldest 2 boys received this audio book set for Christmas from their grandparents when they were 4 and 2. Clearly, it was a little too old for them at the time; they were a little scared by Aslan’s roar. (We had asked my parents to buy it for them and didn’t think about them being a wee bit young. Just call us “eager beaver” parents! ha!) My boys are older now, and they thoroughly enjoyed listening to all of the books in the Narnia series. Sadly, it looks like the complete Narnia series is out of print, but you can buy the books individually. YAY! The Narnia set that we have is from the Focus on the Family Radio Theater audio books series. I love, love, love the audio books in this series because they are radio dramas, which means actors and actresses play the characters in the story and dramatize the telling of the story. The book is performed rather than read verbatim by a lone narrator. This Focus on the Family series is excellent! We have A Christmas Carol in the same series as well. The series also includes The Hiding Place (the story of Corrie Ten Boom), Anne of Green Gables , and the story of Squanto (which is one our favorite stories!) and many others! I can’t say enough good about these audio books! 1) Choose books that your child already knows, has read, or loves-The repetition of hearing a book over and over and over again is beneficial for your child. If your child is a preschooler, just know that is typical and expected for children that age. (Yes, you may scream at hearing Brown Bear, Brown Bear fifty times, but remind yourself that it is good for your kiddo and so worth it!) Let your child have fun with literature! 2) Follow your favorite author-Does your child like a particular author? Find audio books for the author’s works and introduce them to your child in audio book format. Need new authors? Use Honey For A Child’s Heart as a resource for discovering new ones. 3) Introduce classics-My boys have “read” way more classics than I have, and we have audio books to thank for that. Our family usually has one or two “read aloud” books going on at a time. However, if I depended on “read aloud” time alone to introduce them to the classics, we will run out of time. This is where audio books have become our BFFs. My boys have “read” books like Swiss Family Robinson, Treasure Island, The Lord of the Rings trilogy, Huck Finn, Black Beauty and many, many more thanks to audio books. Yes, the books in paperback might be 400+ pages, and no, my boys would not be able to sit through those as a “read aloud.” However, they can easily tackle them in audio book format. So, don’t be afraid to “stretch” them (and yourself!) with the audio book versions of classic, stood-the-test-of-time literature; they can handle it and will love it! 4) Ask for recommendations from others-Many of the books that we’ve stumbled upon were highly recommended from dear friends. Do you have a friend who loves books (as much as I do?!?!)? Ask him/her for a list of favorites. Do you know the children’s librarian at your local library? If not, get to know him/her by name. When I am “stuck” and don’t know which book to throw in my book bag, I stalk track down the children’s librarian at our library. I guarantee he/she will have a few (or a few hundred) endorsements for you! Have fun introducing your children to quality literature! This is the 1st post in a series about Audio Books and children. See the last two posts here and here. When our oldest son was about three, my husband and I were on a mission to find an age-appropriate children’s Bible. Our hunt led us to many favorite children’s Bibles, but one, in particular, left an imprint on our family that we weren’t anticipating. I still remember the day that we were in our local bookstore. Our beloved friend worked there, and we had solicited him for our mission. (He chose to accept it. 🙂 ) We were desirous of a children’s Bible that had an accompanying set of CDs with it. This book introduced to me the idea of having a child listen to the Bible while following along in his/her corresponding paper copy. So, the mission commenced, and our friend directed us to The Word & Song Children’s Bible , which had a Bible and coordinating cds. We immediately bought the Bible and cds and began letting our son listen to them during afternoon nap time and at bed time. My husband knew that our son was referring to the story from the Minor Prophet book, Obadiah. Who had been teaching him stories from the Old Testament?!?!? It wasn’t us, and it wasn’t his Sunday School teachers. After a few minutes of racking our brains, we remembered the Word and Song Bible cds. Yup, that was it; the culprit was the Bible cds. He had soaked up the story of Obadiah by listening to it on a cd. In that moment, we didn’t consciously vocalize the decision, but from then forward, we began using cds as a means of exposing our oldest son (and, now, all three of them) to literature. I write often about books that we read aloud as part of school or together as a family. If it were up to me, I would read aloud to my boys all day long. However, the piles of laundry, mounds of dust bunnies, and stores of uncooked food in my fridge thwart my read-all-day plans. Sigh. Wish that I may, Super Mom, I am not. As we learned from our oldest son’s early years, audio books can be used to “read” to my sons, even when I am not able. As a result, audio books have become a significant medium in the life of our sons, and our entire family, frankly, whereby literature is introduced. So, today, for this edition of Friday Favorites, I share this family favorite, audio books, with you and why we love them so much! 1) Audio books expose my sons to great stories that are above their reading level. In the book, The Core , by Classical Conversations founder Leigh Bortins, she recommends that children read consistently on three different levels: below, at, and above their reading level. One way that I have my boys “read” above their reading level is by listening to audio books. Of course, my heart’s desire is to read every book known to man to my sons, but time does not always permit that. Audio books have helped me stretch the amount of time each day that my boys are being “read to” above their reading level. The audio books that I select for them fall into that category 99.9% of the time. They could not independently read the book they’re listening to, but they can easily comprehend it. An audio book gives them the opportunity to “read” classic literature now at ages 8, 6, and 4. They would have to wait 5-10 years to be able to read such books independently, but why make them wait that long when they are fully able to understand them now? Audio books assist significantly with this. 2) Audio books expand the “Mosley Homeschool” classroom. Two years ago, we started The Story of the World as a history curriculum. With additional subjects that had to be completed and adding a second child to our homeschool “classroom,” the time that I had to read aloud our Story of the World chapters was diminishing. I checked out one set of the Story of the World audio books from our library, and my boys devoured it. They listened to the entire book in a week! This was the same book that was taking us months to read through together. I eventually bought all 4 volumes of Story of the World audio books, and my boys have listened to them multiple times. The audio books allowed my sons to independently take on a segment of their school, which freed me up to focus with them individually on the subjects that only I could teach. If you are a homeschooling family, perhaps an audio book is available with curriculum that you are using or one can be used in a strategic way with an existing subject that you are teaching. 3) Audio books increase fluency and vocabulary. A dear friend is a public school teacher, and she introduced me to the Barnes and Noble Online Story time website, which has 16 books being read aloud with simultaneous video footage of the book. She used the website in her classroom and was the first person to explain, from an educational perspective, the benefits of audio books. Audio books aid a child in increasing his/her fluency, which is the ability to smoothly, correctly read while simultaneously comprehending what he/she is reading. Audio books also expose a child to new vocabulary and introduces it within the context of a story, which increases his/her grasp of the new words. I, naively, assumed that audio books were handicapping my sons’ reading ability when in actuality they work just the opposite! To read more about this, peruse this article or this article. 4) Audio books make free time constructive. Most afternoons in the Mosley casa, you will find our 3 sons enjoying some quality rest time in their rooms. Though nap time is long gone for my sons, the need to quiet themselves and have some time alone is still a reality. (There Mom needs this time too!) Rest time is also known as “audio book time” in our home. The bulk of my sons’ audio book listening occurs during their afternoon rest time. We may not be sitting at our school table plodding along through a school subject, but rest time in our home is wonderfully educational. This is the time that my boys have listened to the Story of the World audio books and other classics like Huck Finn, Tom Sawyer, Charlotte’s Web, and (a family favorite!) The Chronicles of Narnia . 5) Audio books cultivate a love of literature. “Readers are leaders,” was a quote my Dad preached when I was a young girl. It has always stuck with me. I think about it often with my sons. Exposing a child to a vast expanse of literature ensures that he/she will find stories, an author or genre that the child enjoys. The child begins to associate positive sentiments and associations with reading; thus, a love of literature is being cultivated. I have no idea what God will call my sons to do, but I know one of the best ways I can prepare them for their unknown future is to cultivate within them a love of literature. To accomplish this, I read aloud with my boys…a lot, and I let them listen to audio books. Audio books, as a parent, have enabled me to introduce my sons to a variety of books that I may not have been able to read to them otherwise. In doing so, I have observed, first hand, their eyes dancing with joy and their talking-so-fast-I-can-hardly-understand-them summary about a book’s hero; they love books. As a disclaimer, this hasn’t always been the case! However, their love of books has grown through the intentional exposure to and the investment of time with books–being read by me and my husband or by a narrator on an audio book. So, the next time you find yourself at your local library, ask the children’s librarian to direct you to the children’s audio book section. Let your child pick out a couple of audio books and create time in his/her life to listen to them. Remember that it may take several books for it to “click” with your child. Let them have some alone time in their rooms, listening to an audio book and building with Legos or playing Barbies. Pop in your child’s favorite book on cd in the car rider line at school or en route to soccer practice. Look for creative ways to incorporate audio books into your child’s life. You’ll be glad that you did! Last week’s Friday Favorites was about a devotion book that our family uses during Lent to focus on Christ. I decided to keep this second edition of Friday Favorites in the literature genre as well. Today, I am delighted to share about a book that has helped me to love books and to unearth quality literature–for my children and myself–from the thousands of books on the library’s shelves. Enjoy! One day I almost turned in my library card. Yes, you read that correctly. The gal who writes profusely about books that she adores almost gave back her free library card to the librarian. This same gal almost vowed to never darken the doors of a library again. At the time, I was a mother of two wee ones, ages 3 and 1, and I was doing what I thought all “good” mothers did. I took them weekly to the library for storytime, and after storytime, we would check out books. Again, all “good” mothers read to their children, right? So, I followed suit and let my boys pick out books. I remember one of my college roommates had an entire class on Children’s Literature. Being the social work major that I was, that class wasn’t on my radar. Since my extent of children’s authors included Dr. Seuss and no one else, I wasn’t very instrumental in their selections. Plus, I thought letting my sons pick out the books that they wanted was so very gracious of me. We took the books home and read them, week in and week out, but one day I finally had enough. The books that I had been reading to my boys were dull, seemed to all involve jokes about bodily functions, and were were simply lacking. Deep down I felt there had to be something more to this “reading to your child” activity. My heart yearned for more, but I didn’t know what or how. I was frustrated and unsure of what to do with said frustration, so I decided….to just be done with the library. I envisioned marching into the library, slamming down my library card and marching right back out again. Reading with my sons was a chore, a chore in the same vein with laundry, dusting, and changing dirty diapers. I did those things out of duty; there was no delight. Reading to my boys had become just that–duty with no delight. As I was having this internal conversation, my mind recalled the title of a book that I had read about or that someone had mentioned to me previously, Honey for a Child’s Heart . Thankfully, at this point I had not marched into the library and relinquished my library card. I did what any good library patron would do when intrigued by an unread book. I scoured the card catalog for it. Good news; my library possessed a copy of it. I checked it out and devoured it. (Whew! Glad I still had that library card!) This book was just what I needed as it gave me list after list of book recommendations for children. Greater still was its gift to me in this–a vision for the active role that books can play in the life of my children and our family. Gladys Hunt helped me identify what was missing with my interactions with my sons. There was much milk being offered by me on their behalf, but the honey was missing. I knew not how to get there, but thankfully, Hunt guided my steps with each page of the book. “Good books are rich in honey…” she wrote, so that was where I would begin. Instead of marching myself into the library to return my library card, I marched myself into the library with Honey for a Child’s Heart in hand. I would, literally, open it to the first page of the book lists and pick those books off the shelf. It became my BFF as through it our whole family was introduced to marvelous stories, unforgettable characters, timeless authors. No longer was reading to my sons drudgery; it was my delight. We were feasting on honey together, and it was uniting our hearts in a manner that was joyous. Fast forward 6 years, our little brood now includes a third son, and we are half a decade in to the Honey for a Child’s Heart experiment. I count and measure my life by books, ones that have marked me, set my life on a different trajectory. This is, indeed, one such book. A diet of honey, drinking deeply from it, has introduced us to Charlotte and Wilbur, children who lived in a boxcar, a courageous Olympian and missionary, Eric Liddell and countless other people and tales that have left a little piece of themselves in our hearts. The greatest imprint of Honey for a Child’s Heart on our family has come in what Hunt calls, “the pleasure of a shared experience” through literature. This particular chapter, upon first reading the book, drew me in. The idea of books creating shared experiences, drawing a family together made my heart want to explode out of my chest! This was my greatest desire, and so we jumped in to read alouds with school and together as a family. What started as an experiment our family has since become a reality. Feasting on honey has created commonality, laughter, shrills of “one more chapter, please, Mommy,” and joy. Just thinking about the memories of varied books that we’ve consumed together over the last 6 years, literally, brings tears to my eyes. What a journey it has been; so thankful. So, if you’re wavering back and forth about whether or not you should turn in your library card, pick up Honey for a Child’s Heart. May it inspire and instruct you as it did me and our family to intentionally fill our lives, hearts, and minds with quality literature, honey, as Hunt calls it. The last half of the book is filled with page upon page of book lists including various ages, authors, genres. Use it to guide your book selections on your library storytime days, as I did and still do. (Yes, I still take my copy with me to the library to direct my steps! Or, even better, buy the Kindle edition and take it on your phone or tablet to whip out in the middle of the library! All the cool kids take books to the library. You didn’t know?!?!?) As I have begun adding honey, quality children’s literature, to our family’s diet, it has increased my appetite, personally, for rich literary prose. This led me to pick up Honey for a Woman’s Heart over Christmas. I’m looking forward to the unknown adventures and worlds to which it will introduce me. I’m sure it will mark me in the same manner the “kid version” has done. Come, join me in this journey; you and your family will never be the same. 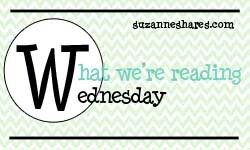 What We’re Reading Wednesday–These posts will be related to books that I have or am currently reading myself or to my boys. If it’s not evident already, I’m a huge lover of books. I’m always eager to pass along a good book find. Hopefully, many of you will have additional books to offer to the conversation; I love when YOU share with me and my readers, too! So, get ready! Friday Favorites–This will be a smorgasbord buffet on Fridays. These posts might be favorite recipes, tips from the kitchen, homemaking helps or the like. I might even sneak in a book here and there if it’s a favorite book that we’ve read in the past. Frequency-I hope to post once a week in either “What We’re Reading Wednesday” or “Friday Favorites.” That is my goal, and as I’ve already confessed sometimes life sneaks in–6 and 8 year old league baseball games are to be watched (aren’t they just too cute in those little uniforms?!?! ), church planting activities to plan or attend, a house to clean (oh, wait! I can always skip that one! ha! ), or naps are to be taken. The weeks that life doesn’t creep in, though, I’ll be eagerly ready to share. It’s going to be fun! I look forward to sharing and…hearing from you guys as well!